While there has been much progress made in the legalization of medical marijuana and the legalization or decriminalization of marijuana in general, much of what has been accomplished still seems like half-measures. 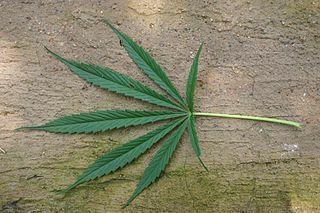 In some jurisdictions, like Washington, DC, marijuana in quantities of less than two ounces is legal to buy and possess. It is legal to smoke, so long as it is within the confines of a private residence, and it is legal to give to someone else, as long as you receive nothing of value in return. However, it is still illegal to sell any quantity of marijuana. If that isn’t a major boon to the black market seller of marijuana, it is hard to imagine what is. In California, it is legal to purchase medical marijuana if you have a doctor’s recommendation that you are a patient who will benefit from the medicine, but it is up to the counties and cities across our state to determine when and where it can be sold. If you live in a county in which it is not legal to operate a dispensary, and you have a valid letter from a doctor, you must travel to a county or city in which it is legal to operate a medical marijuana dispensary. As one can imagine, this is no easy task for some very sick people who cannot even leave their own homes. Even if you live in a municipal area where it is legal to own and operate a medical marijuana dispensary, it may be illegal to cultivate cannabis in that same area. This means that provider must find another source to get the medical marijuana to sell to his or her medical marijuana patients. As our Orange County medical cannabis attorneys can explain, this is causing many to turn to black market (now more of a gray market) sources from which to purchase marijuana, and this is creating a legal headache, and in some cases, ending up with people being arrested and going to jail for doing an otherwise legal activity. According to a recent news article from the Daily Chronicle, legal medical cannabis dispensaries are now facing serious competition from black market marijuana sellers despite them following the law and doing everything properly. One of the reasons is because the high cost involved in running an approved medical marijuana dispensary. When you walk into to one of the legal dispensaries in Los Angeles, you are directed to enter the establishment and show your state ID and your doctor’s recommendation letter. You are then directed by a professional (and paid) security guard to a receptionist who hands you an application for the club. After completing the intake process, you are taken to the dispensary itself and get to view a variety of high quality cannabis products and paraphernalia in a safe, well-lit environment, and offered whatever advice and assistance you need by your well trained “bud tender.” You can even pay with a credit card, because the operator has already spent the money to have a merchant account set up for his or her medical cannabis business. On the other hand, you can choose to meet your college roommate who has a shoebox full of marijuana in the bottom of his or her closet with a simple scale and some plastic baggies. While the quality is not likely to be the same, and you obviously run the risk of being arrested, it is not hard to imagine how the cost to run this operation may be significantly less, and your friend can pass those savings on to his or her customers.